In 2018, Canada legalized cannabis for adult recreational use and some U.S. states adopted laws legalizing cannabis use for medicinal and/or recreational use. Michigan became the 10th state to approve recreational use through a ballot initiative in November. Voters in Utah and Missouri supported laws making medicinal use legal in both states. While 2018 might be seen as a transformative year for the cannabis industry because of these developments, 2019 has already began to show signs of improvement for the decriminalization of cannabis movement. For example, this year started off with newly elected Florida governor, Ron DeSantis, deciding not to follow through with the previous administration’s cannabis flower prohibition fight. States like Connecticut, Illinois, Minnesota, Texas, Rhode Island, and New Jersey are looking to augment their current cannabis programs to include expanding access to medicinal cannabis patients or legalize recreational use. In the middle of January, 40 Connecticut Democratic lawmakers introduced a bill that would allow the State’s current medical cannabis dispensaries to sell cannabis recreationally. President Trump’s long-time anti-cannabis stance has softened recently which may have an impact on federal laws relating to cannabis. Some experts believe that when President Trump signed the Farm Bill into law last year, it marked the potential “beginning of the end” of prohibition for the cannabis industry. William Barr, President Trump’s nominee to take over the attorney general role, in testimony before the Senate Judiciary Committee in January of this year alluded that he would not pursue law enforcement of cannabis businesses in states where it is lawful to and urged Congress to act on reforms to existing cannabis laws. In fact, 62 percent of Americans believe that cannabis should be legal. Potential opponents of President Trump for the Oval Office have been in favor of legalization. Massachusetts Senator Elizabeth Warren has been a cannabis industry advocate for several years to name one. Senator Corey Booker introduced “the Marijuana Justice Act” which would overhaul the federal laws that currently prohibit cannabis use, cultivation, and sales while expunging criminal records related to cannabis convictions. To be fair, Canada’s recreational cannabis legalization in 2018 is probably playing a larger part into politicians’ sudden interest in removing some of the restrictions in the laws here in the United States. Politicians are not the only ones speaking about cannabis as Big Pharma wants in on the industry too. Major drug companies have taken a hit over the last several years due to the opioid crisis and consumers who desire for a more natural approach to medicine and healing. The industry has taken note and has made some considerable moves in the cannabis space. In the summer of 2018, the Food and Drug Administration approved Epidiolex, a drug by the British pharmaceutical company GW Pharmaceuticals PLC (NASDAQ: GWPH), as a form of treatment to treat seizures in children. Epidiolex is pharmaceutical-grade CBD oil and the first of its kind to be approved in the United States. Other companies like Scythian Biosciences Corp. (CSE:SCYB) (OTC: SCCYF) are moving into the medical cannabis space as more states legalize use, which offers opportunities for research and product development. Cannabis industry growth in recent years, known as the “Green Rush” continues to gain steam. Despite starting out with a more medicinal approach to legalization, the cannabis industry’s focus has largely shifted toward recreational use. While cannabis advocates continue to acknowledge the significant health benefits of the plant, their interests have shifted to recreational legalization and the inevitable race to the bottom. This shift in focus provides other companies an opportunity to develop a foothold in niche areas of the cannabis industry. Companies like Indoor Harvest Corp. (OTCQB: INQD) now have an opportunity to be formidable players in niche areas of the cannabis space. 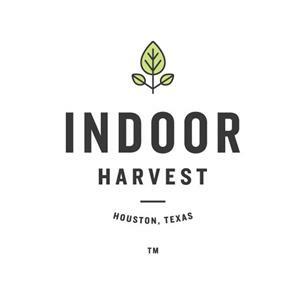 Indoor Harvest Corp. (“Indoor Harvest” or the “Company”) (OTCQB: INQD) is a precision agriculture technology company that is focused on leveraging its proprietary technology to help legal cannabis companies lower operating costs and improve efficiency; while increasing crop yield, consistency, and quality. The Company has a proprietary aeroponic system in development that enables the production of chemically consistent, contaminate-free cannabis, economically at scale. This is expected to also enable Indoor Harvest to leverage its technology over the longer term to develop a better product for the next generation of personalized cannabis-based medicines and treatments. Rather than focusing on simply cultivating cannabis and entering an increasingly crowded consumer market, Indoor Harvest plans to take a more scientific and technology-based approach to the cannabis industry by focusing on controlled environment cultivation, serving cultivators both short term cost, quality and consistency issues and long-term product development goals. In partnership with cultivators, Indoor Harvest believes it can share revenues with cultivators, based on savings the aeroponic cultivation technology delivers. Alternatively, the company believes they can license the technology to cultivators. Dan Weadock was appointed as the Chief Executive Officer at Indoor Harvest almost one year ago bringing a wealth of knowledge and relationships to help expand the Company’s vision beyond aeroponics. As a co-founder of Integrated Genetics & BioPharma Research, LLC (IGBR), a private Massachusetts company focused on delivering what they expect to be commercial grade, boutique cannabis clones from tissue culture, to the legal Massachusetts cannabis markets, Mr Weadock brings this new dynamic of plant genetics and biology to the team, with access to top quality cannabis genetics and plant scientists, along with his understanding of the critical role of the interplay between the biology of the plants and the mechanical /controlled environment. The goal for Indoor Harvest is a more integrated and holistic vision, bringing in new elements of plant science with controlled environment technology through collaboration, partnerships, mergers and acquisitions. Entering into partnerships and exploring merger & acquisition opportunities across the cannabis industry, with other synergistic science and tech focused companies. Massachusetts provides friendlier environment to implement an expanded cannabis research and development operation. Massachusetts has legal medical and recreational cannabis markets. The Company has signed a non-binding Memorandums of Understanding (MOUs) with Cannabis Community Care and Research Network (“C3RN”) and Integrated Genetics & BioPharma Research (“IGBR” also co-owned by Dan Weadock) all of which are located in the Boston area. Indoor Harvest plans to explore the development to acquire or lease property with these partners to pursue research and development opportunities together. Indoor Harvest is positioning itself to become a player in niche areas of the high-growth cannabis industry. The Company is able to set itself apart from competitors through its proprietary precision agriculture technology and its new network of relationships in cannabis genetics, tissue culture and R&D. While the cannabis industry may be overly-focused on mass cultivation/production and supplying consumer recreational markets, the real growth story is in the science and technology that will take the industry to the next level: precision agriculture technology, controlled environment agricultural technology, cannabis genetics and tissue culture and bio-agriculture. Indoor Harvest is on the forefront of this movement and will only continue to build on its solid foundation as management executes the growth plan. The post Indoor Harvest Corp (OTCQB: INQD): A Precision Agriculture Technology Company Making Waves In The Cannabis Industry appeared first on Spotlight Growth.